For many mixed teams, adult / youth paddlers, and teams of different sizes, the difference between a good canoe and the right canoe is the difference between winning and losing. For these paddlers, it's essential that they can easily trim the canoe so it responds quickly and effortlessly to their paddle strokes. They can't afford to be fighting a canoe that handles poorly. That's why we build the V1-A with a "whale-tail." 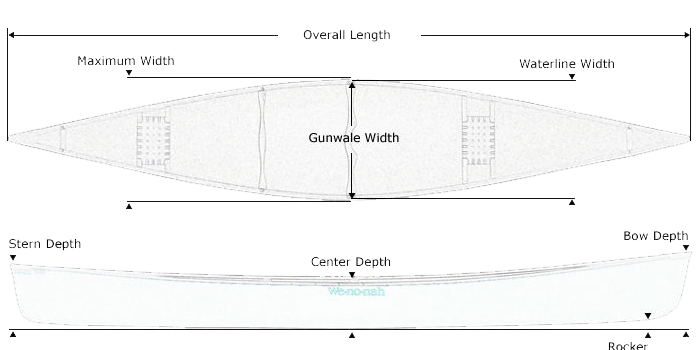 This allows the stern paddler to be farther back in the canoe, properly trimming and balancing the hull for maximum performance. The stern paddler can easily control and steer the hull without wasting precious energy. For paddlers that have a variety of partners, it's possible to rig our mixer to change between a men's and a mixed set-up. Actual colors may vary due to display differences. May not be the Jensen V1-A Mixer. Shown with optional black aluminum trim. 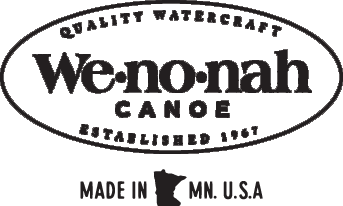 Kevlar® Ultra-light canoe shown with Standard Options, may not be the Jensen V1-A Mixer. Ultra-light hulls are stiff and incredibly light. They are ideal for speed and distance paddling and for all people or conditions that demand the lightest gear. In our Ultra-light construction a structural-foam core and ribs are laminated into the hull and sides. We also add extra fabric layers to strengthen specific targeted areas. Aluminum plates are strategically laminated into the hull. Seats, footbraces, and all hardware is then riveted into these plates. This gives a very secure connection and eliminates rivet heads on the exterior. A Graphite Ultra-light canoe is made the same way as an Ultra-light with Kevlar®, but with Graphite as the outer layer. It's ideal for paddlers desiring more stiffness in their composite canoe. Graphite transfers energy better than any of our other materials, which makes these the most crisp paddling canoes. The aesthetic appeal of a black Graphite canoe is also undeniable. Graphite Ultra-light canoe shown with Standard Options, may not be the Jensen V1-A Mixer.